– If you know the processes of the ecosystem and act in accordance with them, it is possible to grow huge amounts of kelp without harming the ecosystem. Kelp farming has the potential to be both economically profitable and environmentally sustainable, marine biologist Kasper Hancke says. 70 % of the world’s surface area is covered by ocean, and the global potential for seaweed farming is enormous. Hancke believes that farmed seaweed and kelp will become a considerable food source in the future. Kelp is a group of large brown seaweeds that naturally forms large underwater forests along the rocky coastlines in temperate regions worldwide and is the dominant group of seaweeds cultivated in Norway. – In 2017, the production of farmed kelp in Norway was 145 tons. In this size order, kelp farming is not considered to have significant effects on the coastal environments. However, by 2050 the production is projected to reach 20 million tons! To provide managers and industry with knowledge-based guidelines for kelp cultivation, we need to find out how farmed kelp impacts the coastal environment. Moreover, we need to establish threshold values for the point of cultivation when kelp farming has negative impacts on the environment, Hancke explains. – Several factors can make kelp cultivation a potential risk for marine ecosystems, Hancke says. – The availability of light and nutrients is one important factor. Kelp is not the only marine organism that depends on light and nutrients for growth; this goes for all other single celled and multicellular algae, and most primary producers in the ocean. The primary producers collectively account for the food basis for the entire marine ecosystem. 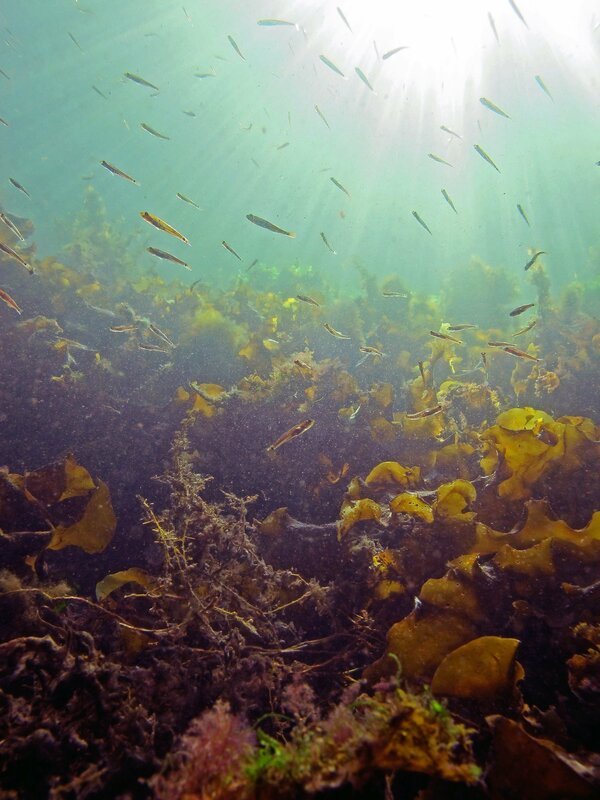 If kelp farming becomes too intensive, the competition for light and nutrients might be too tough, affecting natural primary production and all biological life in a whole area, the NIVA researcher explains. Myriads of algae, fish and other organisms find their shelter and living ground in natural kelp forest. If it turns out that this is the case for artificial kelp fields too, kelp farming would be a positive contribution along the coast in Norway where natural kelp forests have disappeared. The challenge, however, is that it is not necessarily only wanted species that finds their way to artificial kelp fields. – Artificial kelp fields could function as stepping stones for the dispersal of unwanted species too, Hancke says. – Epiphyte fouling on kelp might spread to nearby areas through dispersal of spores or larvae. In a worst-case scenario, this could contribute to an establishment of unwanted species, displacing the natural species and reducing access to harvestable resources. But we still know too little about this. – Kelp farming might lead to a higher transportation of detached kelp fragments to the sea floor, and this can be both for good and bad for the life at the bottom. On one hand, kelp fragments are food for the bottom-dwelling animals, and an increased kelp supply could increase the biological diversity and have a positive effect on nutrient supply in the entire ecosystem. However, too much kelp transported to the sea floor can result in oxygen deficiencies and toxic decomposition, Hancke explains. Still, no one knows exactly where the limit between positive and negative effects goes. However, Hancke and his colleagues are also working in another project, called KELPPRO, aiming to establish such threshold values. 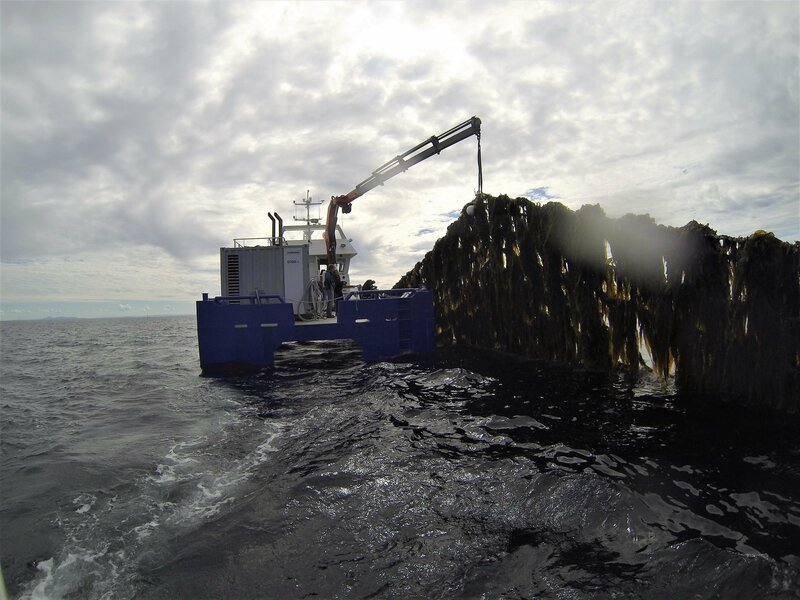 In the project, which runs from 2017 to 2020, researchers and industry are collaborating closely to learn more about potential positive and negative effects of kelp farming. – If available areas are set aside for future kelp farming, these areas can support both a new industry and a better coastal environment if they are managed in a sustainable manner, Hancke says. – Several ongoing research projects are trying to find answers to the questions we asked in the report. When we know more about the interplay between kelp and the coastal ecosystem, the kelp industry can be adjusted to the varying environmental conditions and interests along the coast, Hancke concludes. The NIVA report «Taredyrking – mulige miljøeffekter, synergier og konflikter med andre interesser i kystsonen» was published in 2018 and is part of the project KOM TIL TARE- Kommunal tilrettelegging for taredyrking i kystsonen a cooperation between NIVA, Runde Environmental Centre, Herøy municipality, Tango Seaweed AS and Arctic Seaweed AS. The KOM TIL TARE project is funded by Herøy municipality and Regionale Forskningsfond in Norway.